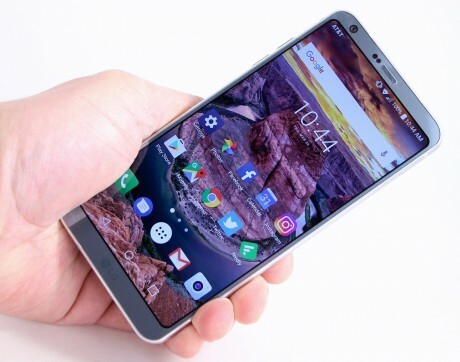 The LG G6 is a strong offering from the Korean company that goes toe-to-toe with the best from Apple and Samsung. The G6 features a gorgeous design, the best materials, a waterproof chassis, and killer cameras. Toss in extras like Google Assistant, a unique screen and powerful Android software, and the G6 is hard to beat. Here is Phone Scoop's in-depth review of LG's 2017 flagship handset. 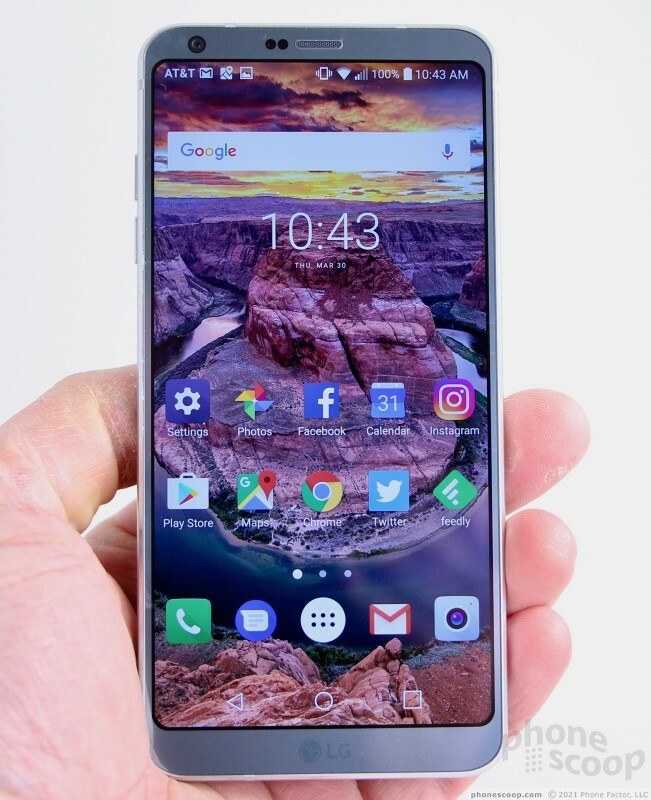 The LG G6 is a high-end, powerful handset from LG that covers all the bases and then some. If you're in the market for a classy, waterproof Android smartphone that nearly does it all, the LG G6 should be at the top of your list. 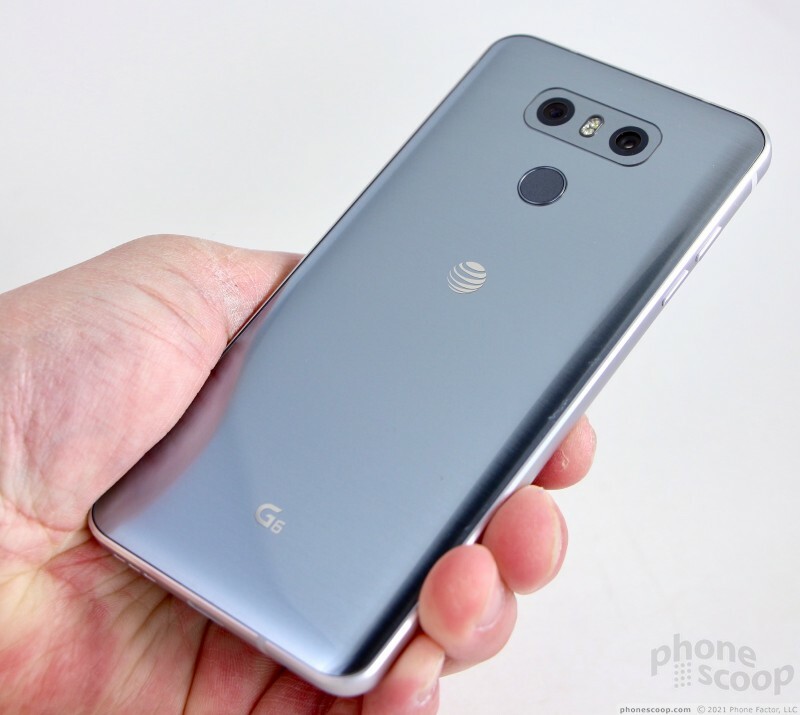 The G6 is LG's masterwork. 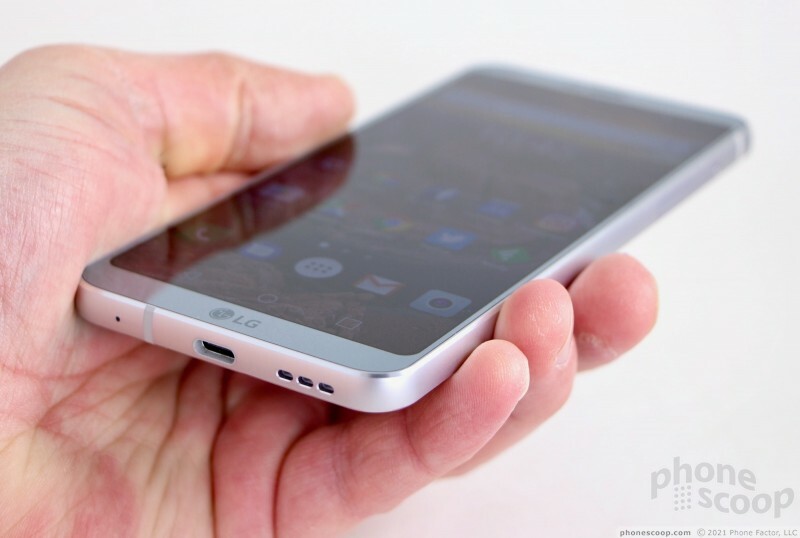 There's no doubt in my mind that it's the finest handset to ever come from LG's designers and engineers in Seoul. The G6 entirely makes up for last year's weak and ungainly G5, and rivals the best from Apple, Samsung, and HTC. LG has outdone itself and set a new bar in combining function and form. 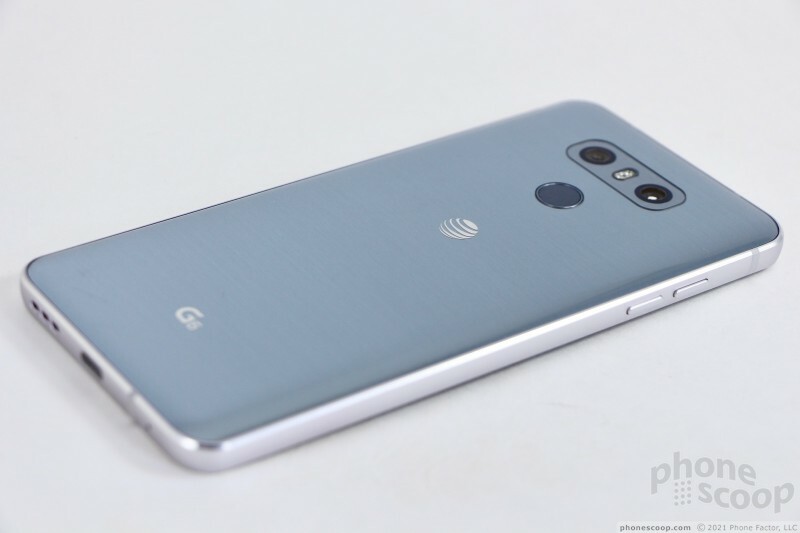 LG broke away from the cheap plastic designs of its early G series phones with the all-metal 2016 G5. 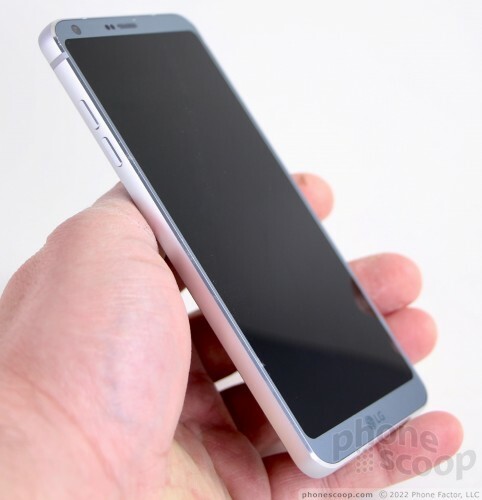 This year's flagship elevates LG's design chops even further. 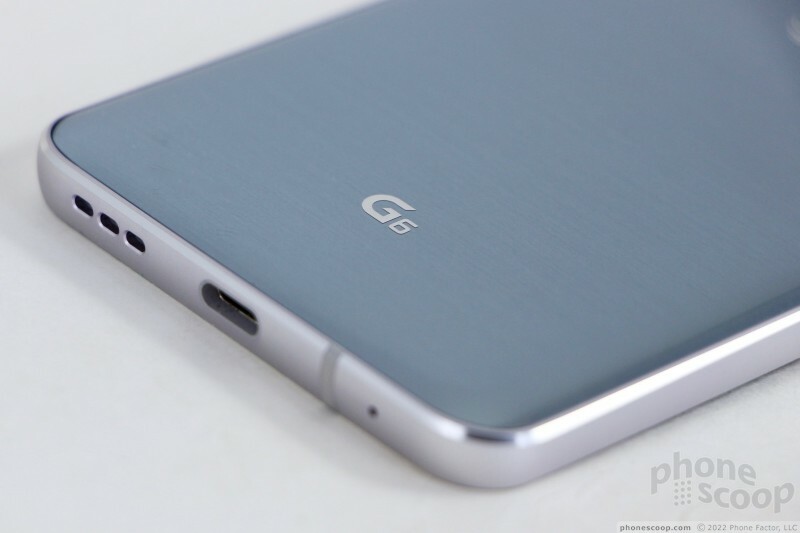 The G6 features an aluminum frame that's sandwiched between two pieces of glass. 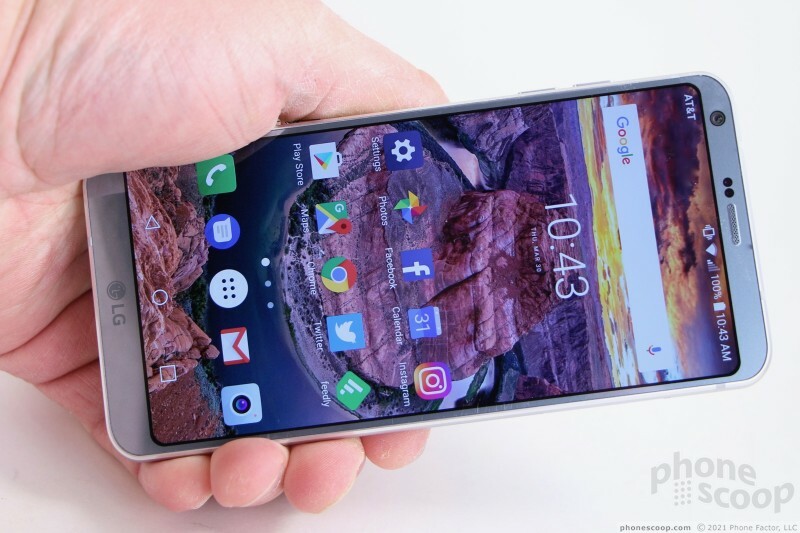 The phone is a bit oblong thanks to the new screen aspect ratio, but the general shape is conservative with somewhat rounded side edges and a 3D curved rear panel. Metal and glass phones may not be for everyone, but it looks classy, it feels classy, it is classy. Whether you go for the platinum or black, the G6 is refined and impressive. 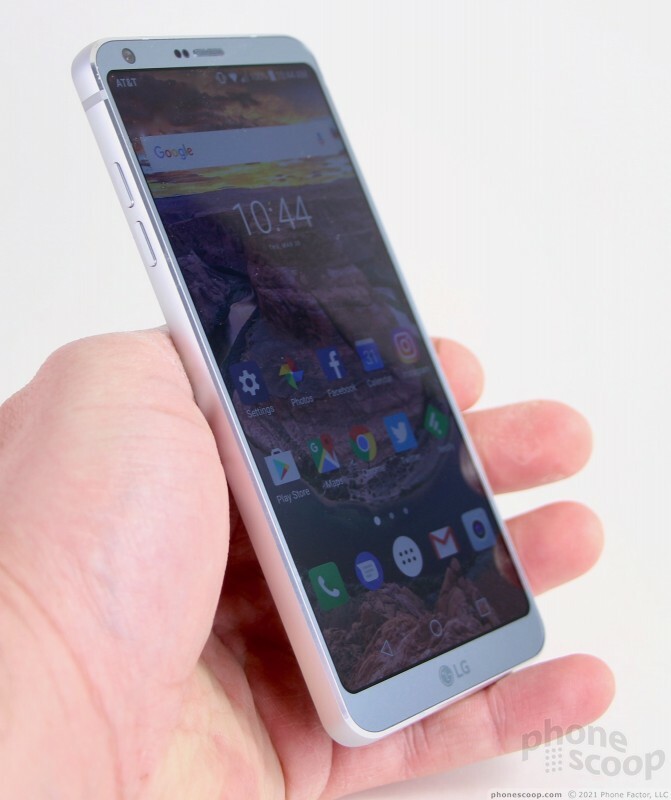 The phone has a huge 5.7-inch screen and yet LG managed to minimize the footprint thanks to the screen shape and incredibly slim bezels all the way around. 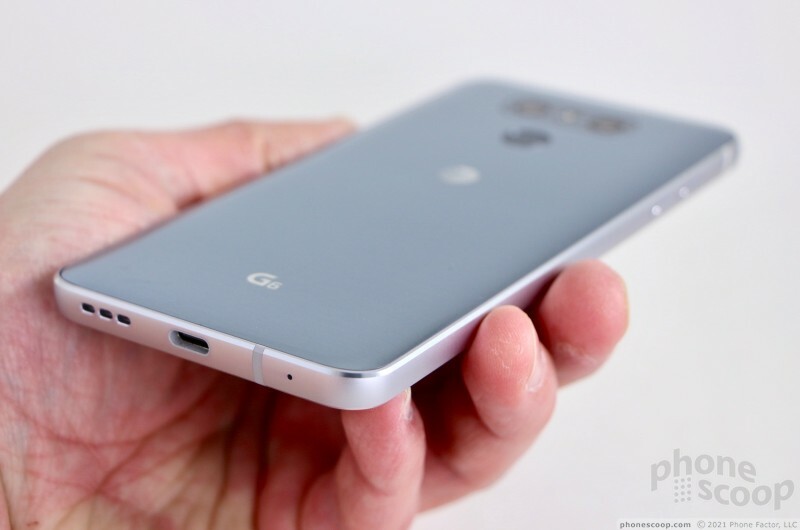 The G6's body is significantly smaller than other large-screen phones like the Apple iPhone 7 Plus, Google Pixel XL, etc. The narrow shape makes the phone easy to hold and use. Despite the big screen, I was able to frequently use the G6 one-handed. 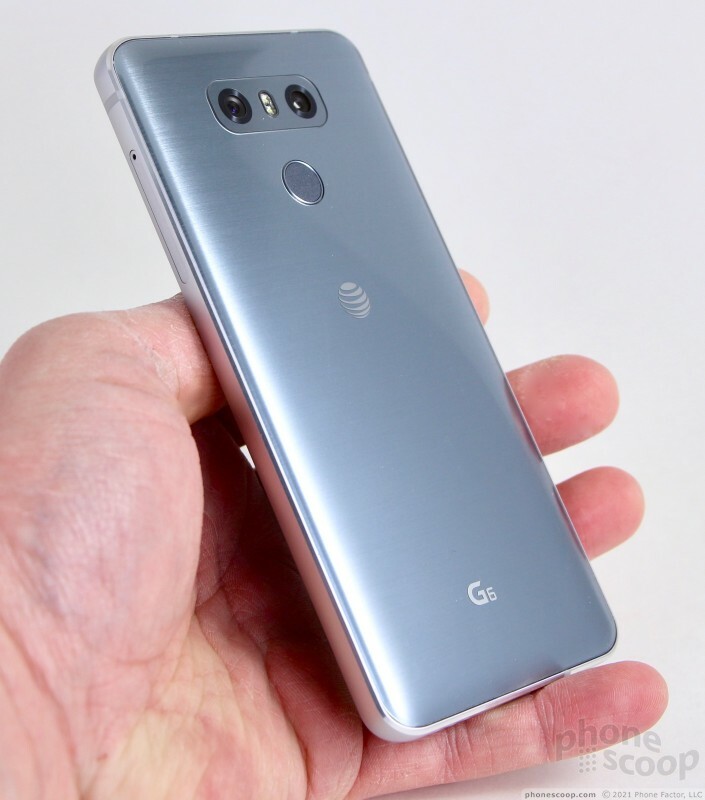 People with the smallest hands may find the G6 awkward, but I think the majority of people will be able to use the phone easily. I do wish the phone were a tad thinner. 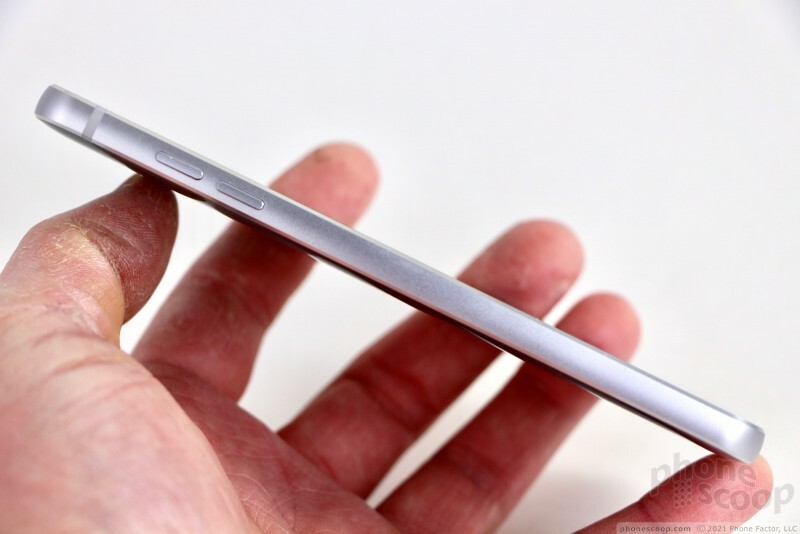 At 8.3mm thick, it's slightly thicker than its competition. The G6 is also a little on the heavy side. It fits in most pockets with ease. You can't ask for finer materials and build quality. The flat front panel is made from Gorilla Glass 3, while the curved rear panel is Gorilla Glass 5, and the frame is milled from solid aluminum. If you're wondering why the front isn't Gorilla Glass 5, it's because other aspects of the design (the metal frame, flat face, and physically rounded screen corners) improve durability in a way that takes stress off the screen if it's dropped. LG claims this allowed it to select Gorilla Glass 3 for the front without sacrificing durability. 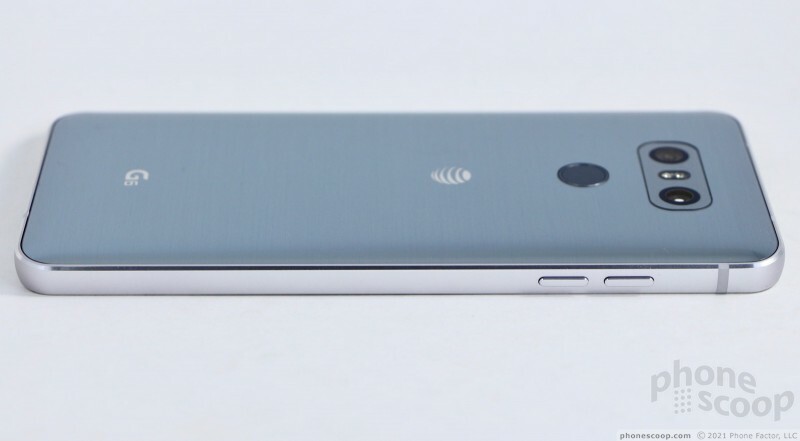 The frame has antenna lines here and there, and attractive chamfers on both the front and back. The glass panels are fitted into the metal frame with a high degree of precision. I really like the feel of the smooth back surface, which curves gently to meet the frame. The fit and finish is fantastic. LG stretched the display from the standard 16:9 aspect ratio to a taller “18:9” (2:1) aspect ratio. 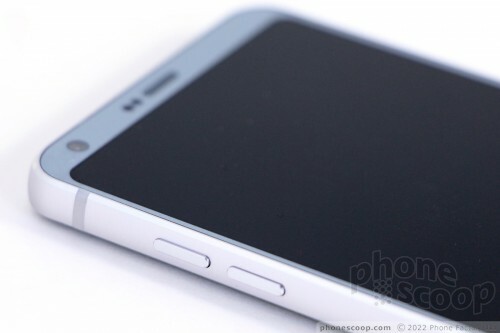 At the same time, LG slimmed down the bezels. 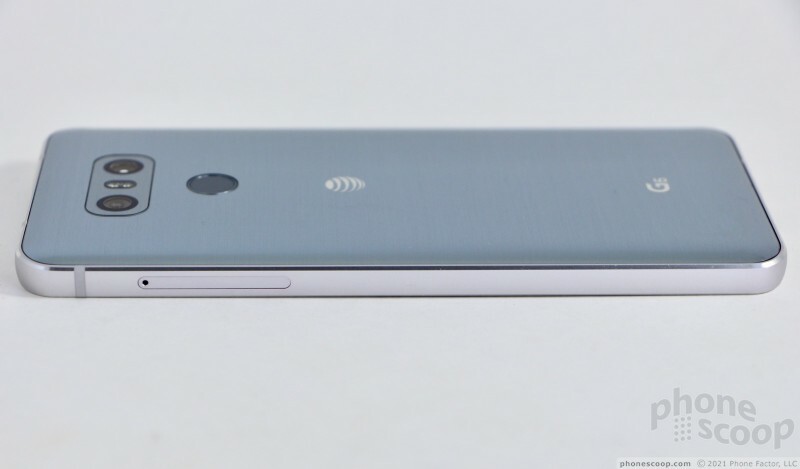 The result is a tall, narrow phone that looks different from what you're used to. 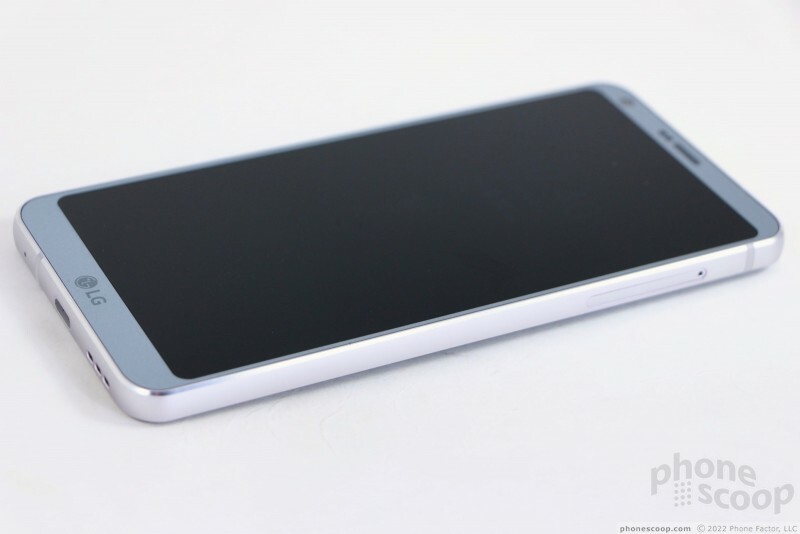 (The Samsung Galaxy S8 adopted a similar aspect ratio and tall design.) 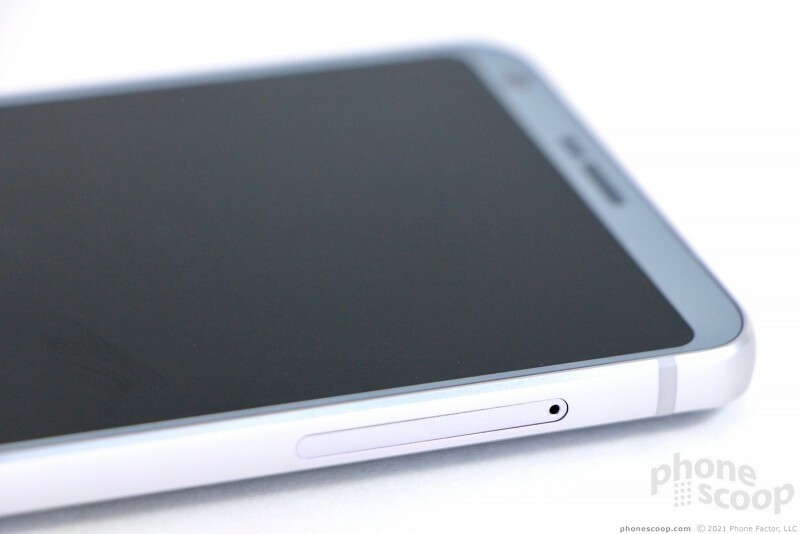 Above the screen you'll see the usual sensors and speaker, crammed into a very thin space. These elements are more visible on the platinum color than they are on the black color. LG's logo is the only thing below the display. The phone has no front buttons at all; it uses software buttons to interact with the user interface. 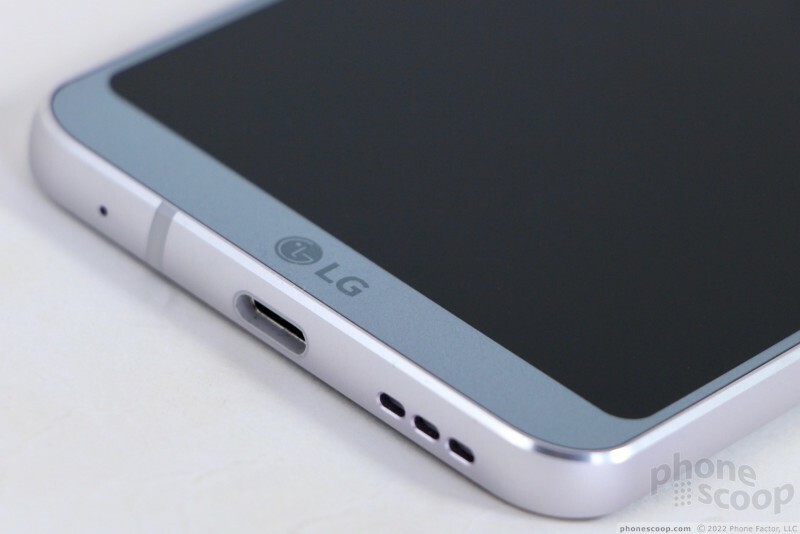 I'm glad LG has moved away from its rear-mounted button configuration. You'll find the volume buttons on the side. These buttons are separate keys that have good profiles, travel, and feedback. You can use the volume button to launch the camera if you wish. The top of the phone has a 3.5mm headphone jack, something the iPhone 7, Moto Z, and HTC U Ultra all lack. The right edge holds the SIM/memory card tray. The tray is rather wide, thanks to its side-by-side layout. I had no trouble ejecting it with a SIM tray tool. I wish the tray were metal and not plastic. 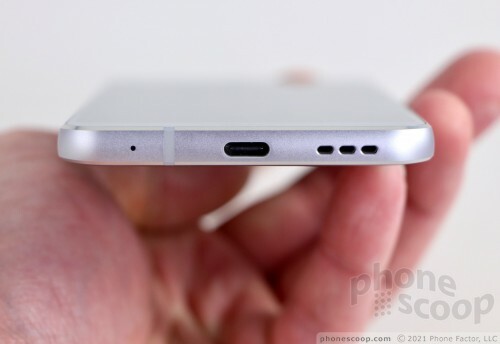 A USB-C port is positioned in the middle of the phone's bottom edge and the speakerphone is next to it. These outer controls and ports all work as they should. The curvy glass rear panel is gorgeous. I'm more partial to the platinum than the black, but both are stunning in their quality. The platinum color has a grainy finish underneath the glass that I find particularly appealing. It's mostly flat, but does curve just a bit near the frame, on all four sides. The glass and frame are sealed up tight, so there's no access to the battery. 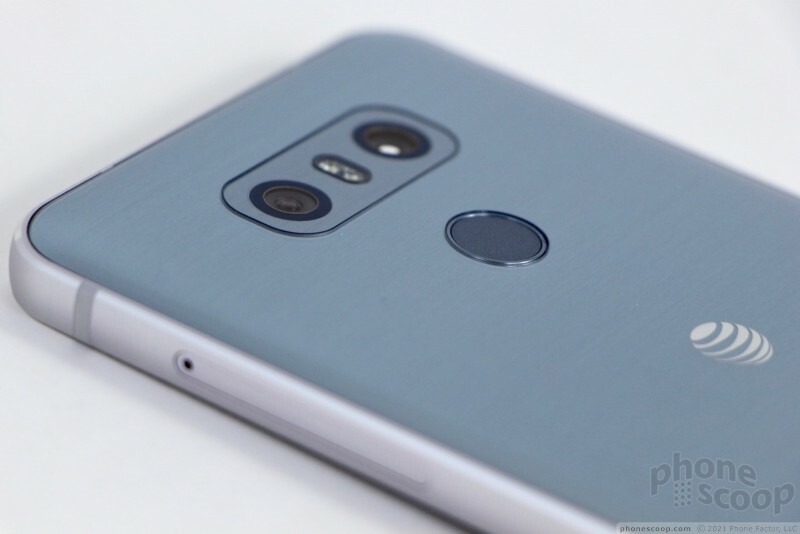 If there's one thing I don't like about the G6, it's how LG treated the camera module. 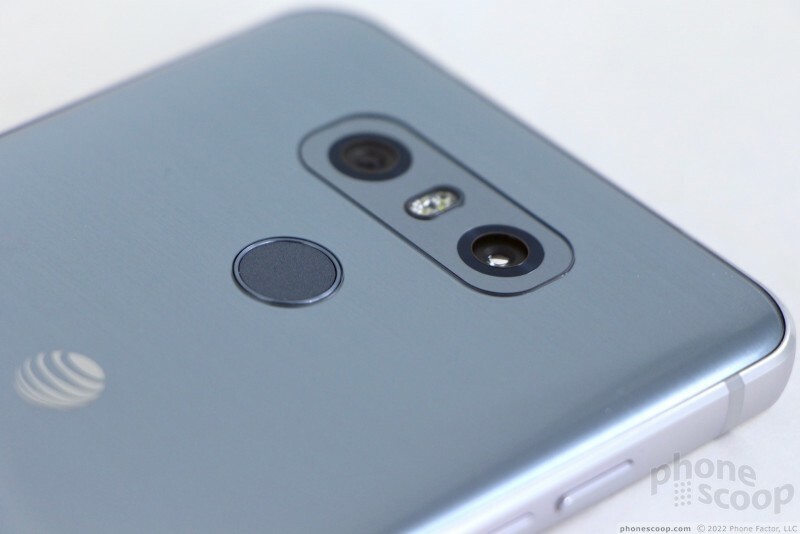 The dual-camera array is where you expect it to be, near the top edge. The wide-angle lens is on the left and the standard-angle lens in on the right with the two-tone flash in between. LG cut a section out of the rear panel's glass to fit the module, which is itself covered in glass. The joint between the two pieces of glass is a bit rough all the way around. 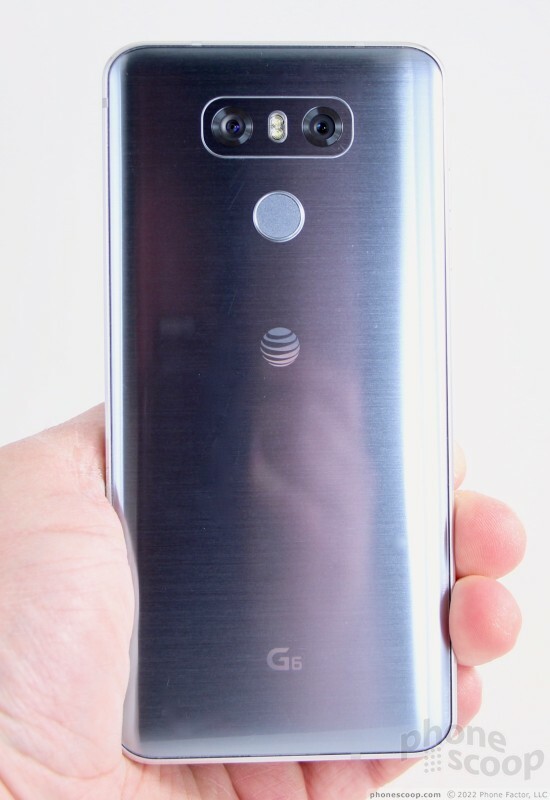 I think LG could have done a better job here. 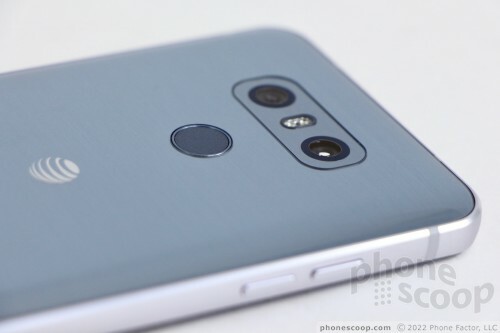 LG positioned the fingerprint reader below the camera module. I wish it were just a bit bigger, but it's no problem to find by feel. The reader is also the phone's lock button. The action is just okay. The G6 is waterproof with an IP68 rating, which means it can handle full submersion in water for a half hour, in addition to getting wet in the rain. The phone easily lives up to LG's claims here. I held it under running water for more than a minute and let it sit in a bucket of water for while. Water runs off the G6 as it does a duck's back. 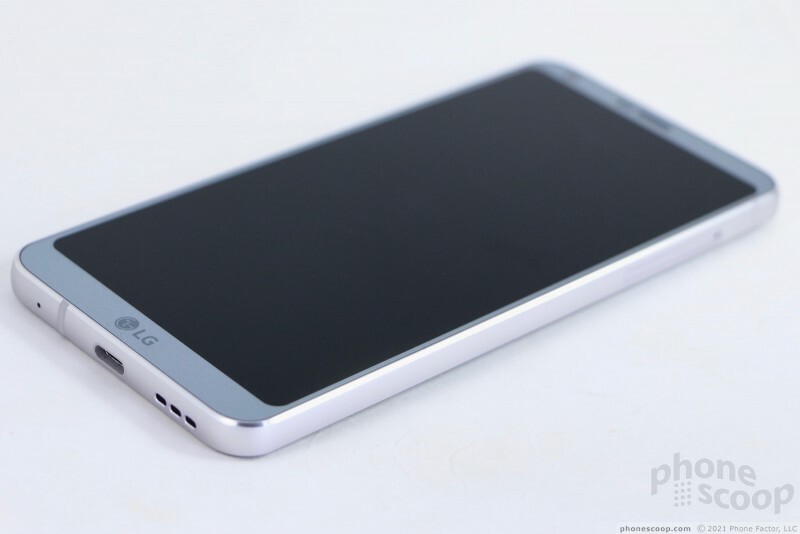 LG also says the phone can handle some punishment thanks to the design of the screen. I dropped it onto carpet and wooden floors without issue. I'm too chicken to drop it on concrete. I mean, it is nearly all glass. LG insists that a great deal of engineering effort went into durability, but you may feel better getting a case for it. From a design perspective, the LG G6 is nearly flawless. The phone is everything I want in a 2017 flagship and more. It's simply stunning in every way. Well done, LG, well done. The G6 has an IPS LCD display and it is staggeringly attractive. LG is making a big deal about the screen's new aspect ratio. 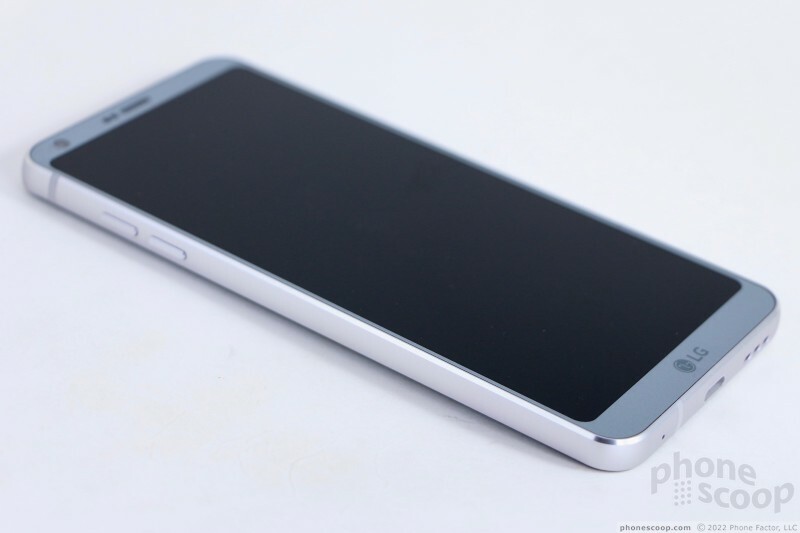 It measures 5.7 inches across the diagonal and packs quad HD+ resolution, or 2,880 by 1,440 pixels. The 2:1 aspect ratio means the screen looks narrow and taller when compared to traditional 16:9 displays. Interestingly, the screen has rounded corners and I really like the effect. The size and resolution make for an incredibly sharp display. The LCD panel puts out plenty of light. I had no trouble using the phone indoors and out, though I found the auto-brightness tool wasn't very effective. 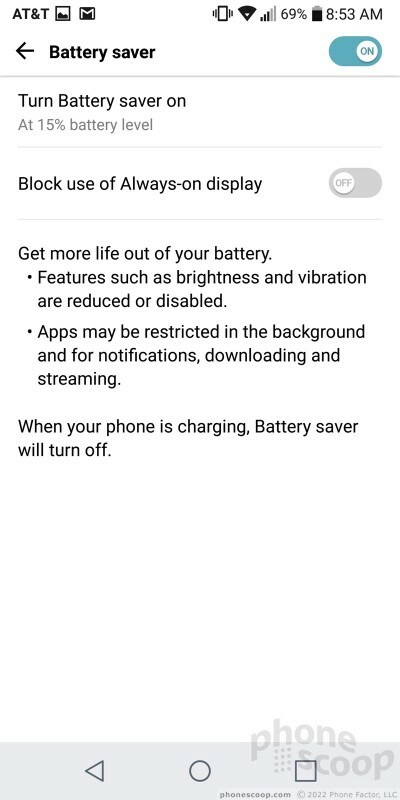 You may need to manage brightness manually. Viewing angles are excellent; you'll notice a slight drop in brightness as the phone is tilted, but there's no color shift. This is as fine a display as you're going to find on a modern phone. LG sent us an AT&T-branded G6, so we tested the phone on AT&T's network in and around New York City. The phone performed on par with the best phones I've used in the area. It remained connected to LTE 4G throughout my time with the phone; I never saw it drop to HSPA / 3.5G. The G6 had no trouble placing calls, even under the worst signal conditions. It maintained calls at highway speeds, and didn't drop or miss any while I tested it. Data speeds were impressive. Peak speeds on AT&T's LTE network topped 50 Mbps, though average speeds were less. The G6 was a fine tool for browsing through Facebook, Instagram, and other social apps. Streaming media over 4G didn't tax the phone at all. Music and video alike flowed through the G6 without buffering or interruptions. The cellular radio works well. Most people will be impressed with the G6's voice quality; I know I was. The earpiece produces bright, punchy voice tones. With the volume up all the way, you can hear calls in most places you might bring the phone. I was able to maintain conversations in noisy coffee shops, rowdy basketball games, and busy shopping malls. I did notice a very small amount of static in the background when the volume is cranked, but it didn't impact clarity overmuch. I tested standard voice calls and VoLTE calls. I noticed a small uptick in clarity with VoLTE calls. People said I sounded very good via the G6. The speakerphone works well, too, and delivers crisp, clear conversations that are audible in moving cars, at home, and most other places. The speaker is on the bottom edge of the phone, which I think is the best position given how people often hold their phone when using the speaker. Ring tones and alerts blast from the bottom of the G6 with the force of a bullhorn. I was able to hear the phone ring from anywhere in my two-story house. The vibrate alert is decent. LG packed a 3,300 mAh battery inside the G6's slim chassis and it does a great job. The phone typically had plenty of power to spare at the end of each day, often on the order of 20% to 30%. I pushed it heavily on several days, with lots of camera / video use and even uploaded a 22-minute 4K video to YouTube. These activities definitely chewed through some capacity, but I still had enough juice left at bedtime. Whatever electric mojo LG has tuned in under the hood, it's working. 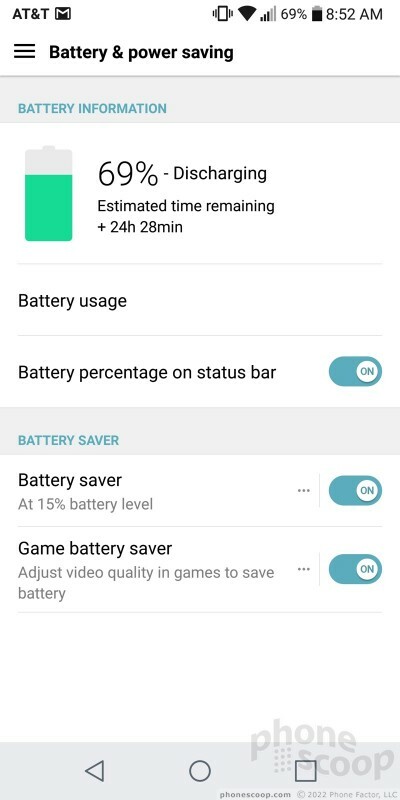 LG gave the G6 extra tools to help manage battery life. 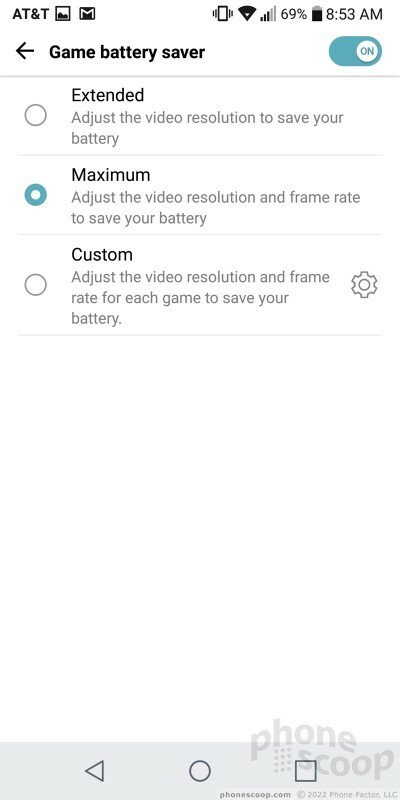 In addition to the standard Android power saver mode, the G6 also has a setting that specifically reduces the processor power given to games. Regardless, the battery life is good enough that I didn't need these tools. Lasty, the G6 supports Quick Charge 3.0 through its USB-C port. Thanks to the included fast charger, the G6 will power up quickly when needed. It also supports both major wireless charging standards, which means it is compatible with most wireless charging pads. I tested it on a Qi-based pad and it worked fine. The G6's secondary radios all worked well. Bluetooth was a cinch to use and the NFC radio helped me pair the G6 with a wide array of Bluetooth accessories. I used the G6 for several calls via my car's hands-free system and they sounded very good. Music had a rich sound when passed through a good Bluetooth speaker. You can use the NFC radio for mobile payments via Google's Android Pay service. Google Maps and the G6's GPS radio were bosom buddies. The phone located me within seconds and was accurate to about 10 feet. That's excellent. Real-time navigation between points worked flawlessly. The WiFi worked just fine. LG today announced the G6+, a refined version of its flagship smartphone that offers a few under-the-hood improvements. The G6+ ships with 128 GB of on-board storage (rather than 64 GB) and premium headphones from Bang & Olufsen that are better able to take advantage of the 32-bit quad DAC. Missing bands 29, 30 and 66 on the unlocked version. 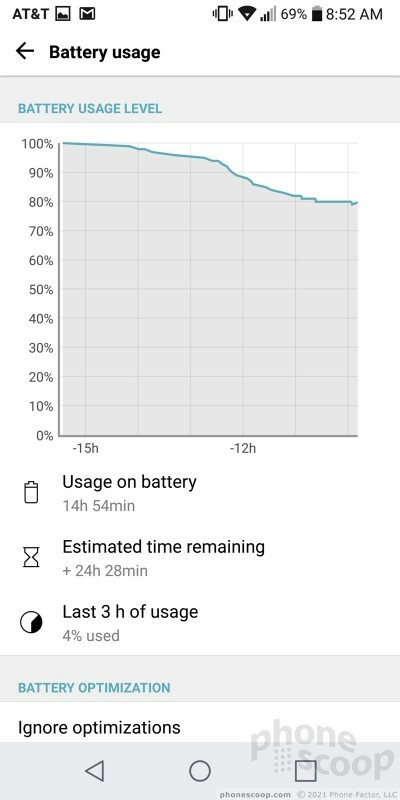 That's a bit crappy for a flagship phone. Does the G6 use a dual speaker design like the iPhone 7? Anyone know if this phone has the tap on/off feature for screen display? Never mind, found it in the article.